Danielle Daws: TAWS Release Day! Hello! I hope you enjoyed the blog hop yesterday - thank you so much for all the lovely comments, they're very much appreciated! 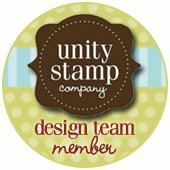 It's Release Day for The Alley Way Stamps, AND it's also the day for the TAWS Free Digi Stamp! Every month there's a new free digital stamp up for grabs on the TAWS blog, perfect for entering the TAWS Be Inspired Challenges! 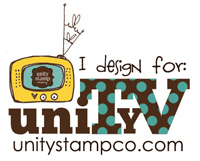 So today I'm sharing my card using this month's TAWS Freebie with sentiments from Admit One. 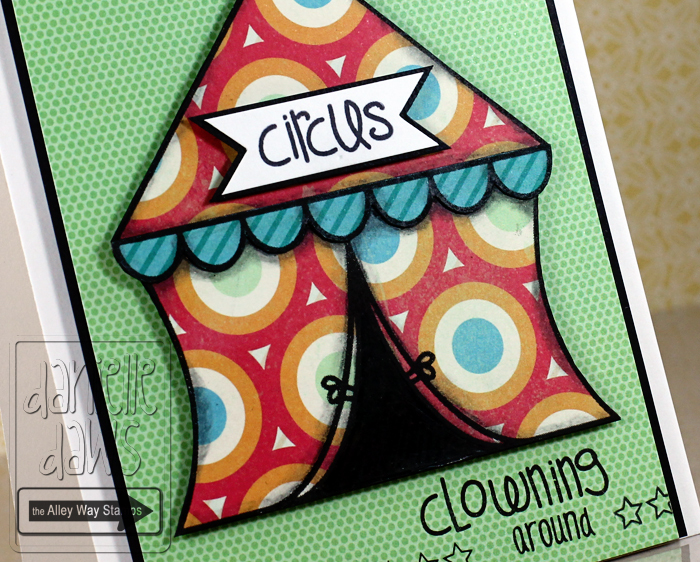 I used some Kaisercraft patterned papers from my stash to paper piece the cute circus tent, and I added some shading with a black Prismacolor pencil. I think it will be great for a kids card, what do you think? Thanks for visiting, and make sure you check out the new sets! These stamps look awesome! 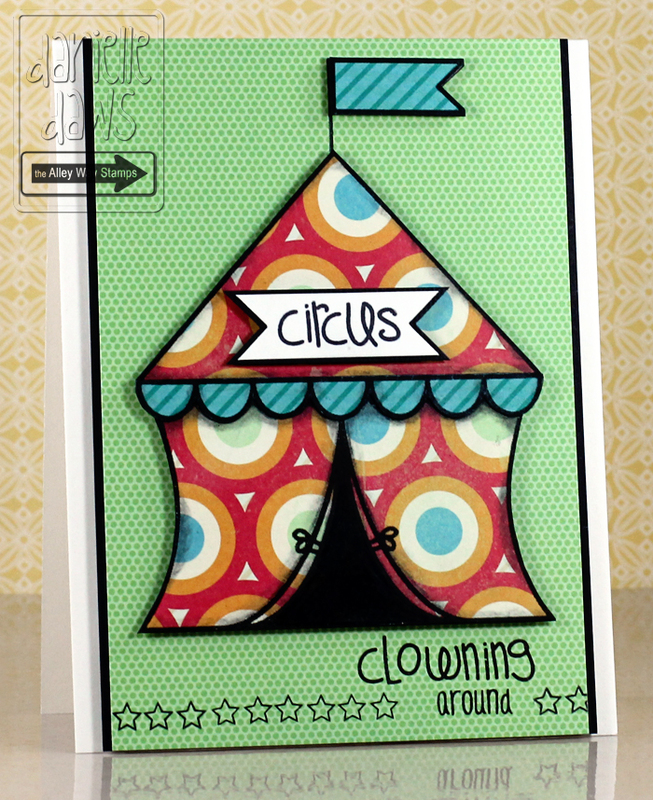 Love how you pp the circus tent! Your circus tent is awesome! Love the papers you have used.